A “community organizing summit” against hydraulic fracturing (fracking) held in West Virginia over the weekend by the Appalachian Gas Working Group (AGWG) drew minimal participation, despite the group offering to pay for people to attend through “scholarships.” Backed by the West Virginia and Virginia Chapters of Sierra Club, along with about 24 other fringe activist groups, AGWG’s summit saw fewer participants than the group has partners, as the Facebook event shows just 23 people went – and pictures show even fewer than that. Source: West Virginia Highlands Conservancy Facebook page. 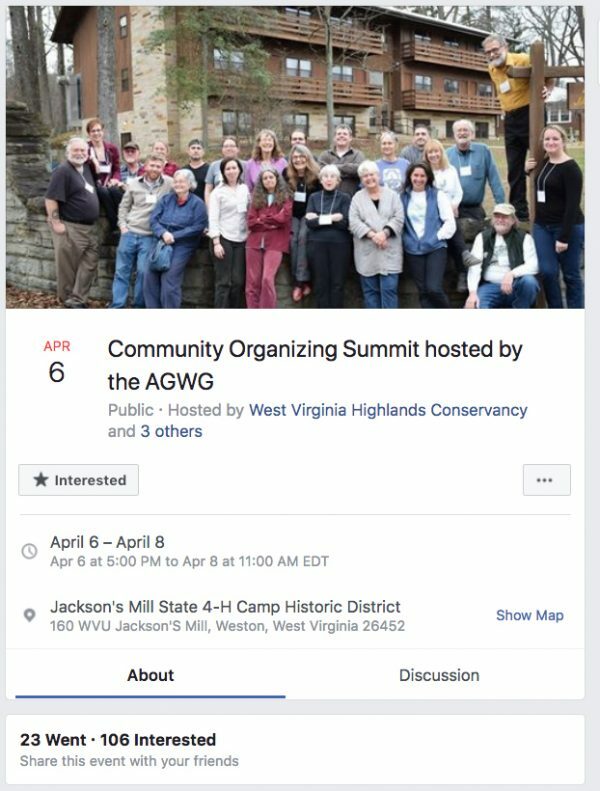 AGWG’s inability to attract even moderate interest in their anti-fracking “community organizing summit” further proves the broad support of natural gas development by Appalachian communities, and is yet another failure from “Keep It In The Ground” groups trying to stop development in the region. Promoted by Sierra Club, West Virginia Rivers, the Ohio Valley Environmental Coalition and other AGWG partners, the AGWG Summit was billed as a way to “help you take action against extraction,” through presentations from activist groups. Presentations included one on health effects, put on by a member of the Southwest Pennsylvania Environmental Health Project (a group whose claims on fracking have been debunked by EID multiple times), and another on “environmental monitoring” from a member of Earthworks, a group notorious for releasing misleading FLIR footage of oil and gas infrastructure. Considering the terrible turnout for this summit, maybe Sierra Club and the AGWG should rethink their tactic for trying to build “an effective campaign that will assure a successful outcome” – or maybe they’ll just increase the amount of money given to attendees and hope more will show up. This is yet another example of the Sierra Club trying to rob West Virginia of hope for real economic development, as the American Chemistry Council has reported that petrochemical manufacturing and natural gas liquid storage projects could lead to over 100,000 permanent jobs along the Ohio River. Thankfully, and as this recent epic failure of the Sierra Club’s so-called summit proves, the residents of West Virginia and the Ohio River Valley have no interest in learning about their fearmongering misinformation campaign.